Creating an Access application for other people means anticipating how the users are going to interact with your program. Without clear direction from the program or you, users can be easily confused by even simple things like the order in which data is to be entered. One of the basic tools in Access is the subform which allows for the input of records related to a master record. A classic example is a database which stores customer orders and where each order might have multiple items (i.e. order lines) associated with it. 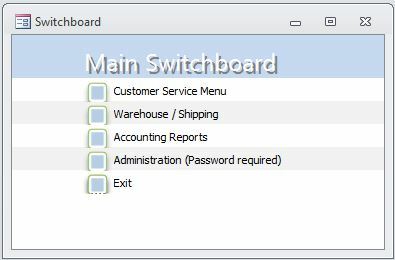 This entry was posted in How-to, Microsoft Access, Uncategorized and tagged featured on March 19, 2019 by Andrew Comeau. Best practice when retrieving data in Microsoft Access or any database, for that matter, is to limit the amount of data that you pull at any one time. This means using the proper filters and limiting the number of fields retrieved. Often, you still end up with a lot of information to look through anyway. That’s when it can help to have a dynamic search filter that will enable you to easily search the records with just a few keystrokes. One easy way to do this is use the form’s Filter and FilterOn properties along with the KeyUp event as shown here. This entry was posted in How-to, Microsoft Access, Programming on January 9, 2019 by Andrew Comeau. 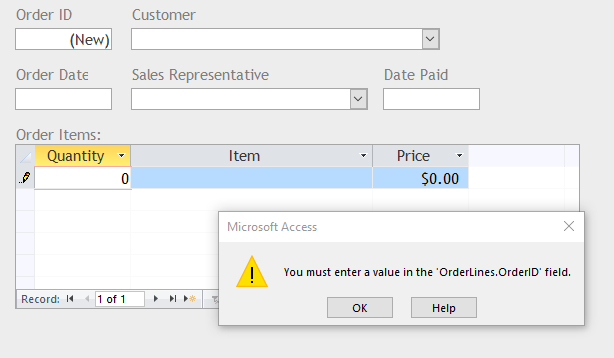 One of the steps for creating a report in Microsoft Access is to define where the data is coming from. This is done through the report’s Record Source property which can be a table or standalone query in the database or a SQL statement as shown in the screenshot below. Usually, this is defined when the report is created and only gets changed if needed. In some cases, however, you might want to use the same report object for many different queries. You could have a mailing list report that you want to use for employees, customers or other groups at different times and the data would be drawn from different tables or even different databases. This entry was posted in How-to, Microsoft Access, Programming on January 8, 2019 by Andrew Comeau. One of the great things about MySQL is its versatility of installation. It can be setup as a Windows service and trimmed out with some extra utilities or it can be installed on a flash drive as a portable server. The easiest installation is certainly the Windows Installer with a wizard that will guide you through the installation of the server and all the options you want. Myself, I still like self-contained programs that won’t interfere with anything else on my system and can be easily removed without leaving hidden traces. I also don’t like adding a lot of stuff to my Windows startup. If you have a basic comfort with using the Windows command line and control panel, doing a minimal installation of MySQL is not difficult once you understand a few steps. 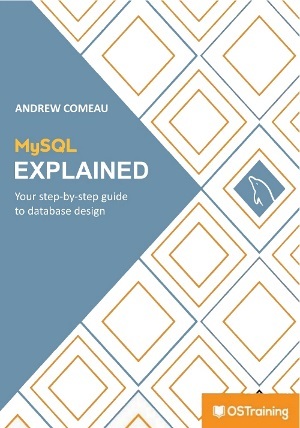 The full documentation is available for reference on MySQL.com but here are the essentials to get you started. This entry was posted in Database Design, How-to on May 21, 2017 by Andrew Comeau. After doing my year-end rebuild of my Windows 7 system, I went ahead and did a check for updates, preparing to wait for awhile as there were currently over 150 important updates for my system even after installing SP1. So I waited … and waited … and waited some more. After a couple hours, I knew something was up so I started searching for solutions. Finally I found an update that took care of it; an update was needed to fix the update process. Restart your computer. I prefer to do a complete shutdown, wait a few seconds and then start it backup. To be safe, disable any anti-virus programs you have running. This update might not work if they’re active. From the above link, download the version of the fix that’s appropriate to your computer. Double click on the file to run it and follow the prompts. The installation process is short and simple. After the update finishes, restart your computer again. When you run Windows update, it should now find any available updates within a reasonable amount of time. If that update doesn’t fix the problem, there are a couple of others that I found out about when dealing with this problem on another machine. Again, be sure to disable your anti-virus software when installing these and possibly when checking for updates as well. This entry was posted in How-to on December 28, 2016 by Andrew Comeau. Note: This article was written in 2015 and is due for update at some point. It is still useful as a general guide for issues you might encounter in this type of installation. Please takes this into consideration when downloading components. One of my latest projects was setting up WordPress, the popular content management system, on a client’s web server which was running Windows Server 2008. WordPress requires installations of MySQL for the database back-end and the PHP scripting language in order to serve up the WordPress content. On a local Windows machine, I’d probably just use a pre-configured WAMP (Windows, Apache, MySQL, PHP) stack package like EasyPHP which is installed quickly and includes all the necessary components. That’s not quite an option in a professional environment, though. I was also working with Internet Information Services (IIS) 7.5 for the web server instead of Apache so the process is a little more involved. This entry was posted in How-to, Web Design on September 26, 2015 by Andrew Comeau. I admit it’s a little bit of a geek thing but I’m in the habit of wiping and reloading my computer systems at least once a year to keep everything working right. I find that, even as careful as I am about what I install, I still work with some major software and Windows systems start to slow down and get a little flaky after awhile with random hiccups that take time to track down. 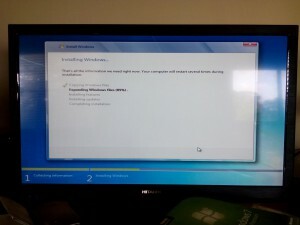 Sometimes, it’s easier just to take a day, back everything up and re-install Windows from scratch. This entry was posted in Hardware, How-to, Software on April 3, 2015 by Andrew Comeau. As part of my latest project, I decided to try out WampServer, the Windows development environment for developing web applications with Apache web server, MySQL database and PHP scripting (Windows, Apache, MySQL, PHP – WAMP). Packages like WampServer and EasyPHP are simplified ways to create a testing environment on your PC without spending a lot of time downloading, installing and configuring the individual components. 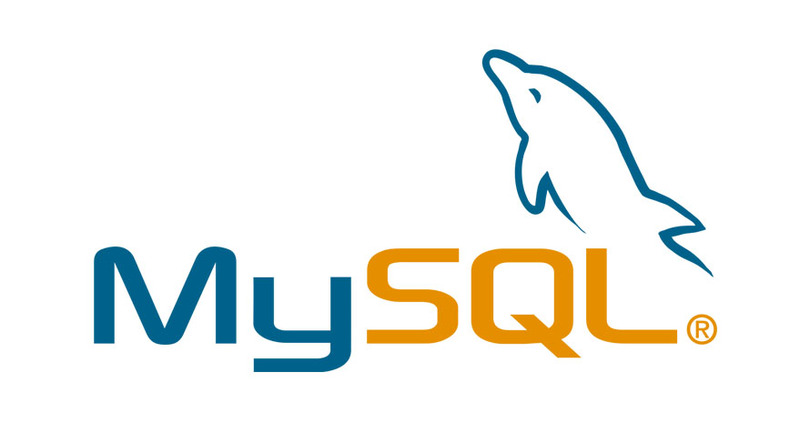 The package also includes utilities such as PHPMyAdmin and SQLBuddy for managing your MySQL databases and writing SQL queries. The software is available in 32- and 64-bit versions and the installation is pretty straightforward. This entry was posted in How-to, Programming and tagged Troubleshooting, WAMP on March 12, 2015 by Andrew Comeau. In a recent post, I talked about using the WordPress plugin Add Meta Tags for adding meta descriptions and titles to posts and pages within my WordPress sites. It’s a simple SEO tool but works well. Nevertheless, I decided to switch my sites over to Yoast SEO for all its extra features and guidance in constructing pages. I was anticipating quite a job as this blog alone has almost 100 posts and all of those descriptions needed to be transferred from the fields created by the old plugin to Yoast’s fields. Yoast does have some import tools of its own but they didn’t include the one I’d been using and my experience with a third-party converter had not been good so I was glad to find that I could do it so simply with one query in phpMyAdmin. This entry was posted in How-to, Web Design and tagged SEO, WordPress, Yoast on January 1, 2015 by Andrew Comeau.